University of Canberra research is working to prevent the recurrence of cancer - and it's on the cusp of a major breakthrough to stop the spread of recurring cancer. There is very little therapy to fight aggressive cancers such as breast cancer and the available treatments are harsh and in many cases, superficial and transient,...And once they recur, there is no treatment whatsoever. We are determined to fix that. We're changing the way the world treats cancer. Donor and community support is vital to our success. 90% of the death in women with breast cancer is due to metastatic disease. That is the spread of the breast cancer from the primary site to the other organs. Within that primary tumour there are these special cells known as the cancer stem cells and what happens is these cancer stem cells are completely resistant to the chemo therapy that's done to treat it. Therefore, what happens is the primary tumour shrinks but the cancer stem cells stay alive and dormant. These cancer stem cells then spread across the body and reseed and form new tumours. What we've done in my lab is we really specialise in cutting edge molecular technologies. What we've been able to do is literally peel apart the cancer stem cells so we can go right into where the DNA, the core, the brains of the cancer stem cells are. We've managed to identify key proteins that cause the cancer stem cells to tick and because we've identified the key proteins then over the years we've developed novel drugs that actually completely block the cancer stem cells. Therefore, we are developing a new treatment for metastatic disease that doesn't currently exist. A revolutionary change for cancer treatment. The Melanie Swan Memorial Translational Centre at the University of Canberra is leading the way in research into cancer treatment in the ACT. Professor Sudha Rao and her team are working to treat the occurrence and spread of metastatic cancer – and they are on the cusp of a major breakthrough. Donor and community support has been vital in progressing the research to date. 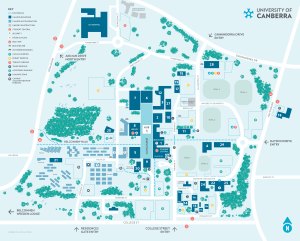 Additional donor support will secure the lab’s future in Canberra. This test could have saved Melanie's life. Now it could go worldwide. A simple blood test developed by Canberra researchers could hold the key to early intervention in stage IV aggressive cancers. When Melanie Swan was diagnosed with breast cancer in 2011, only invasive tissue samples could tell the ACT mother if the disease had metasticised. By the time she discovered it had spread to her bones, her prognosis was already terminal. Young mother and beloved wife Melanie Swan was 38 when she was diagnosed with breast cancer. After initial remission, the cancer metastasised and she passed away on 1 October 2016, five years since the diagnosis.